Inspired by NASA’s recent Mars exploration, we have decided to take a journey through the Galaxies. 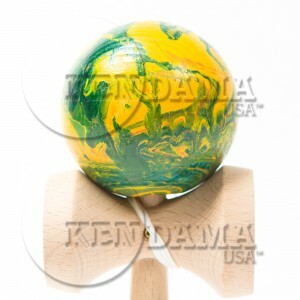 On our latest mission, we discovered a brand new Tama design. Hand crafted by our very own Trevor Starnes, these “Solar Storms” have certainly captured the most unique expressions that can not be duplicated! Gaze deep into the free flowing storms and observe the beauty of its natural phenomena! These beauties are featured on Tribute kens for optimal performance, and include a replacement string and bead. Due to the unique style of our process, no 2 Solar Storms will ever be identical. The photos are for reference only. 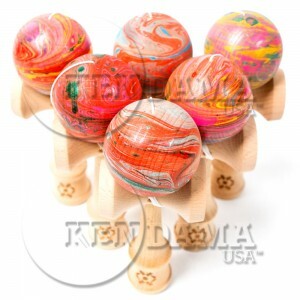 While the artistic method stays consistent, each Kendama will feature variations in it’s swirl patterns, dominant colors, and amount of visible woodgrain. 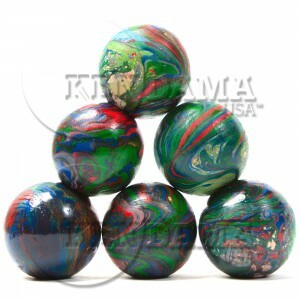 Check them out today in our store.